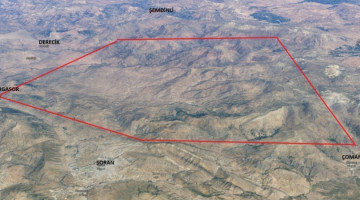 Shengal Construction Assembly President Xıdır Saleh said those that fled the city along with 12 thousand peshmergas and left the people to the mercy of ISIS gangs would not hesitate to put an embargo and starve the people of Shengal. Shengal Construction Assembly President Xıdır Saleh spoke to ANF and stated that the KDP put a political and economical embargo upon the Êzidîs in Mount Shengal, and criticized parties in the Kurdistan parliament such as PUK, Goran and Islamic Group for turning a blind eye to the issue. 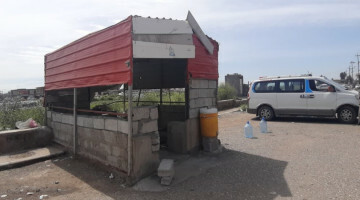 Saleh recalled that 12 thousand peshmergas and KDP police forces had escaped from the town and turned in hundreds of thousands of civilians to ISIS during the 2014 massacre, so the KDP would not hesitate to starve the citizens of Shengal through the ongoing embargo. "THEY ARE MORE TOLERANT TOWARDS ISIS"
"WE WILL NOT BE GRATEFUL"
Saleh noted that the presence of guerrillas is used as an excuse but the KDP’s embargo targets Êzidî people. He emphasized that the guerrillas are only concerned with the liberation of civilians in Shengal and have no financial expectations from the KDP or Êzidî people. "PEOPLE STOOD UP AGAINST COLLABORATORS FOR THE FIRST TIME"
Saleh recalled that Êzidîs have been betrayed and put to massacres many times in history, and could not create the conditions for freedom until now. 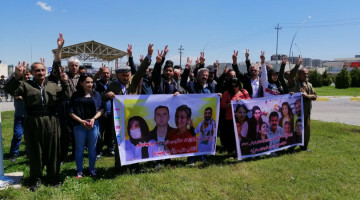 With the lessons learned from the latest massacre attempt, people stood up against collaborators and betrayers for the first time as they put up a resistance against ISIS at Mount Shengal. He said that KDP tried several policies to but the allegiance of Êzidî people, but these people see the honor in their land and would not surrender to the KDP. 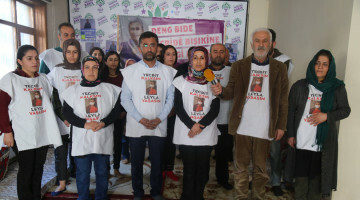 "THEY PUT THEIR LOGOS ON AID PACKAGES"
Xıdır Saleh criticized the KDP for preventing aid from arriving at Mount Shengal, and called for the formation of a new mechanism that takes local assemblies into account for the fair delivery of aid to Shengal.